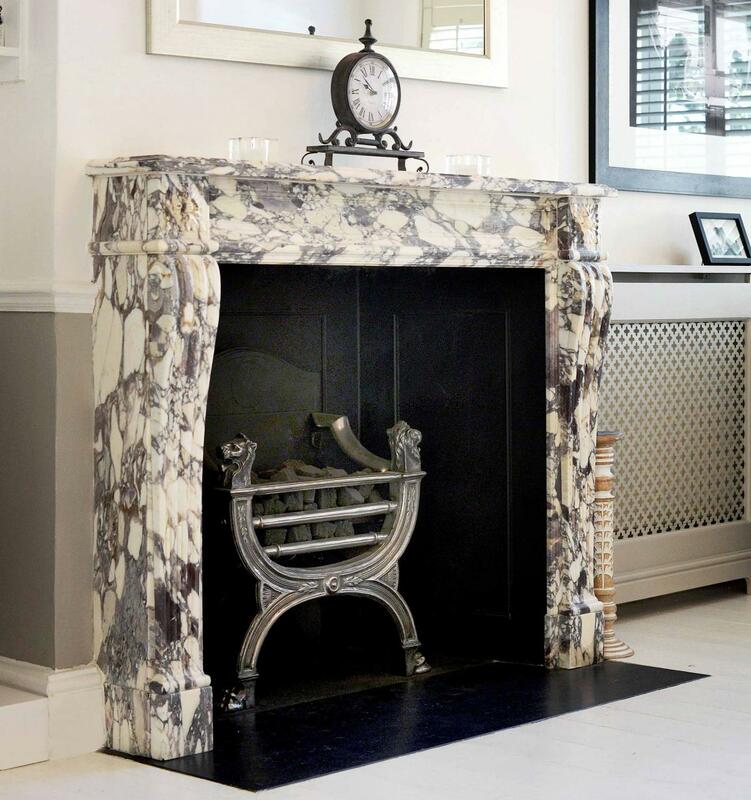 Most people wishing to introduce an element of colour into their interior scheme tend to think of paint and accessories as the obvious option, but an antique marble fireplace can also have a major impact on the vibrancy of a room. As the fireplace is often the primary focal point of a room, utilising it as a point to which the rest of the interior scheme is anchored is incredibly effective. 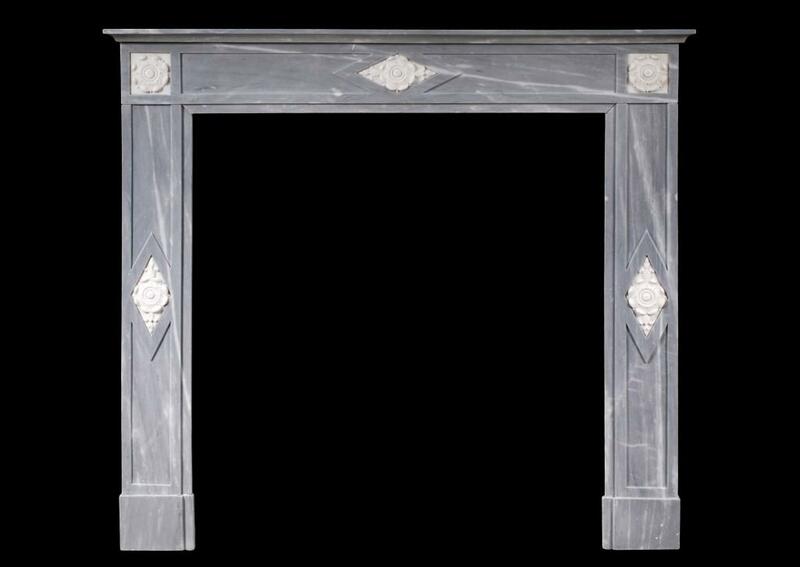 If used correctly, a reclaimed marble fire surround can actually be the ideal way to impart colour, pattern and style to a room. 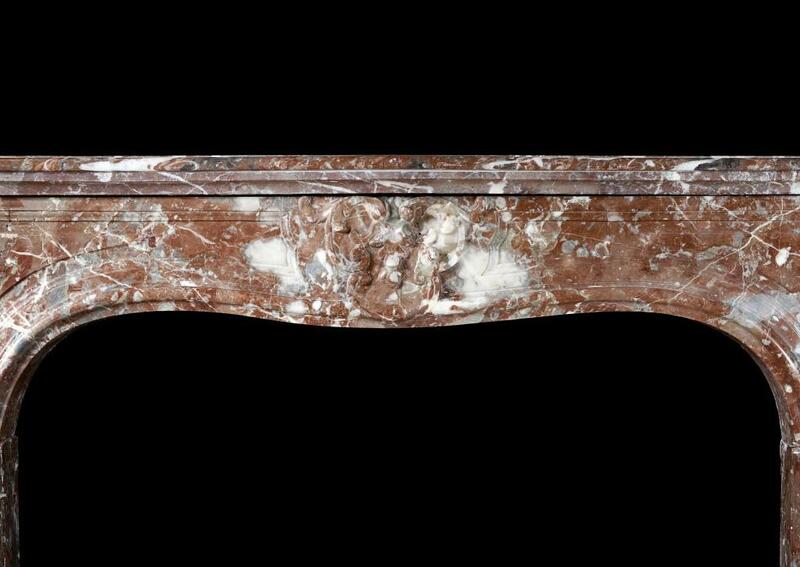 In addition to the well known light greys and off-whites that often spring to mind, Thornhill Galleries hold fireplaces made from vibrant marbles from all over the world. From the more neutral whites and blacks to warming browns, cheery yellows and rusty oranges, in addition to powdery soft greys and greens, vibrant blues, playful pinks and regal purples – each with their own striking pattern variations and colour pallets. Despite the historical nature of antique fire surrounds, they can easily be incorporated and, in fact, enhance some very current colour trends. 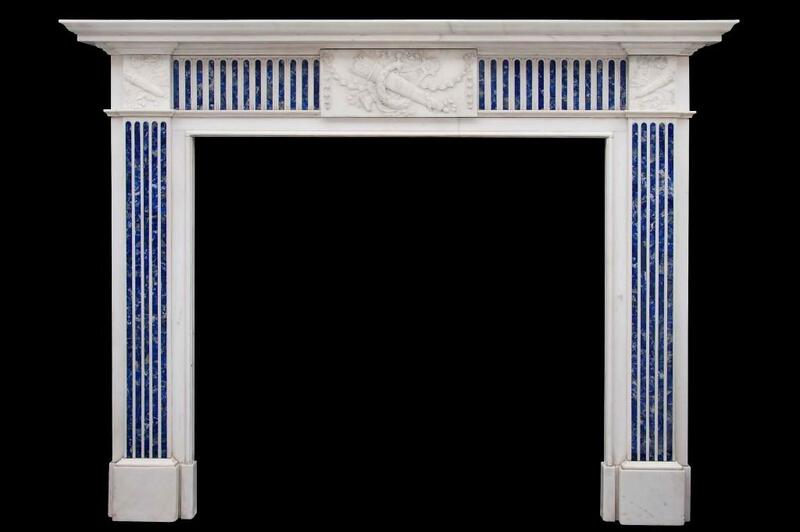 This English Statuary antique fireplace below for example is inlaid with Princess Blue marble and is the ideal choice for those wishing to weave in one of the many shades of blue – from inky navy to soft grey blue all of which are currently in vogue. Grey too, which is also popular at present, is well catered for. 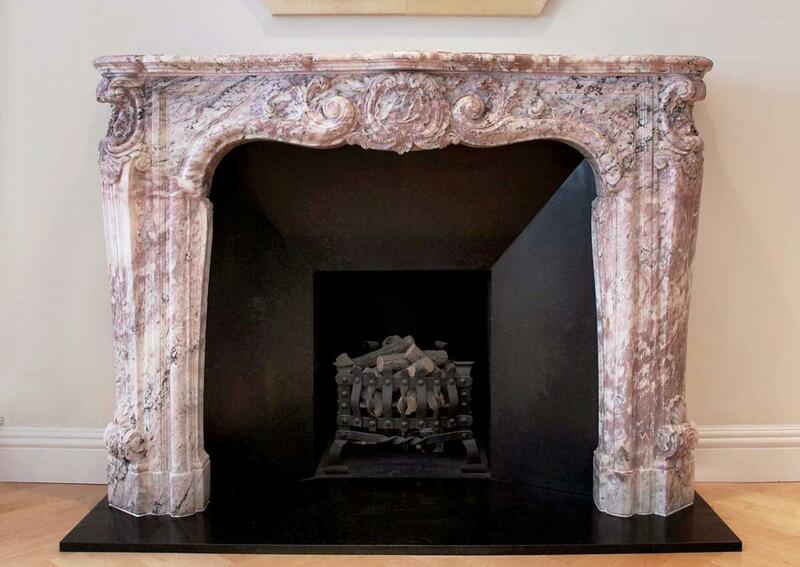 See here two beautiful reclaimed fire surrounds in Italian Bardiglio and Sainte Anne des Pyrenees marble respectively. Of course using a different shade that complements a particularly fashionable colour is also an option. A fire surround featuring a shade of yellow, found in marbles such as Italian Siena and Breche de Bonoux, will sit beautifully alongside most grey schemes. At the same time a chimneypiece featuring a robust red, such as those crafted from rouge marble or with a Jasper inlay, would be complementary to the currently much sought after Highland-inspired look. One of the biggest draws of a marble fireplace for those wanting to introduce colour to their home is that it is multi-tonal. Rarely featuring just one shade, many marbles offer a whole colour card within one focal point. 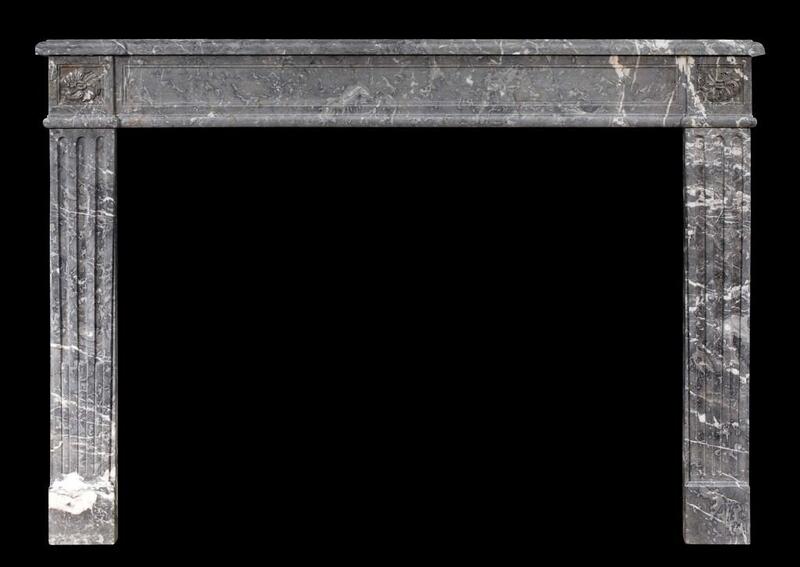 Take this French Louis XV style marble fireplace in Breche Violette marble – http://www.thornhillgalleries.co.uk/item/stock-number-3926/ This is an antique chimneypiece ranges in colour from pure white and soft cream, through scores of greys and finally mauve and deep purple. You may consider picking out the greys on the walls or within a well chosen patterned wallpaper, or opt for upholstery and soft furnishings that reference the violet tones within the marble. 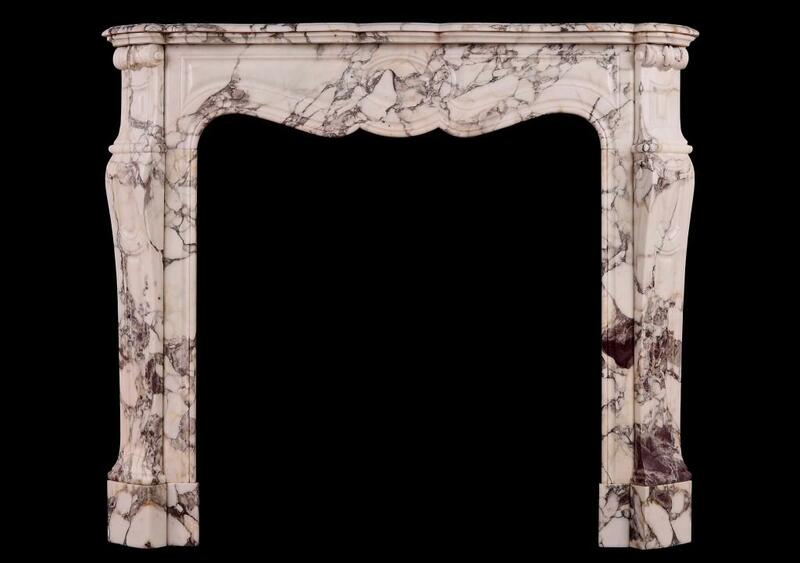 And, of course, it is not just traditional homes that can benefit from the colour that these antique mantels offer. More modern tones are often considered when designing a sleek, contemporary scheme. 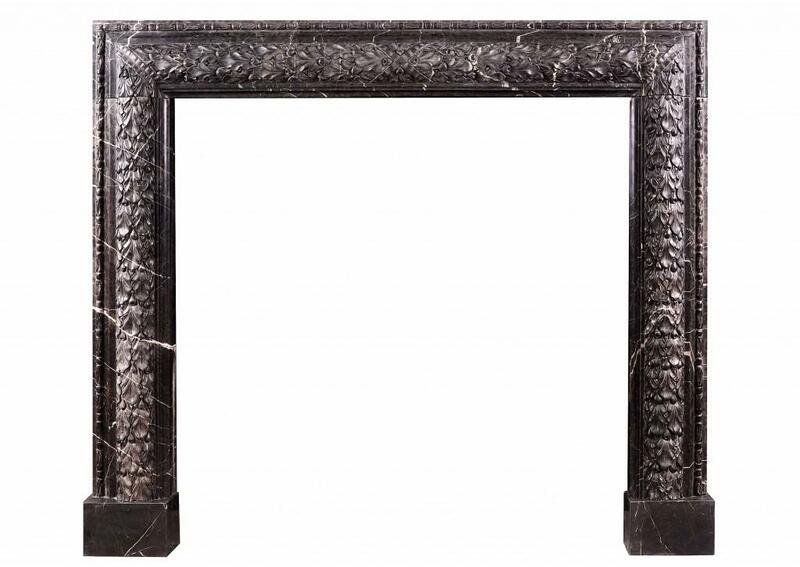 Take this English moulded bolection fireplace in Nero Marquina marble for example – a simple shape, complemented by fine carving of a marble that has almost a monochrome quality and would look at home in a chic, minimalist space. For more thoughts and advice on selecting a marble that would work well with your home or project, don’t hesitate to get in touch.